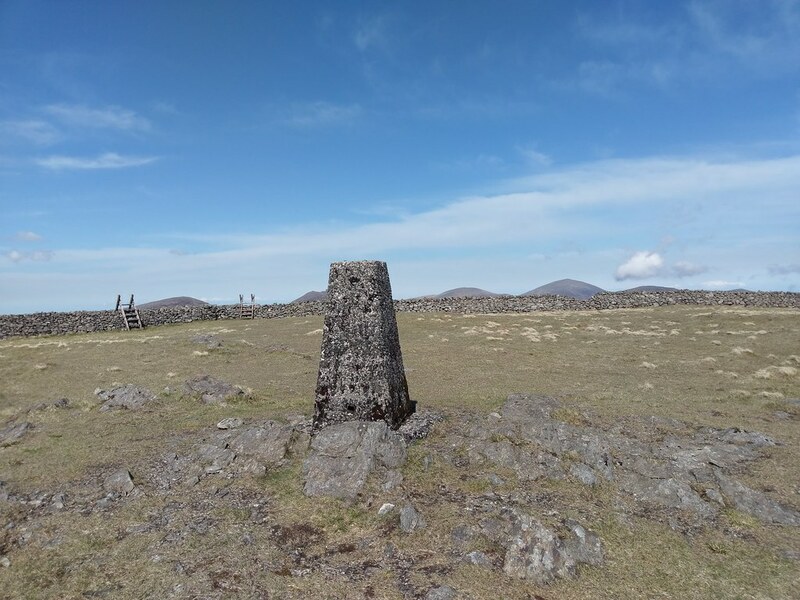 Nephin’s Trig Pillar stands in the most breathtaking location possible, just feet away from the sharp cliff that falls into the mountain’s trademark corrie. 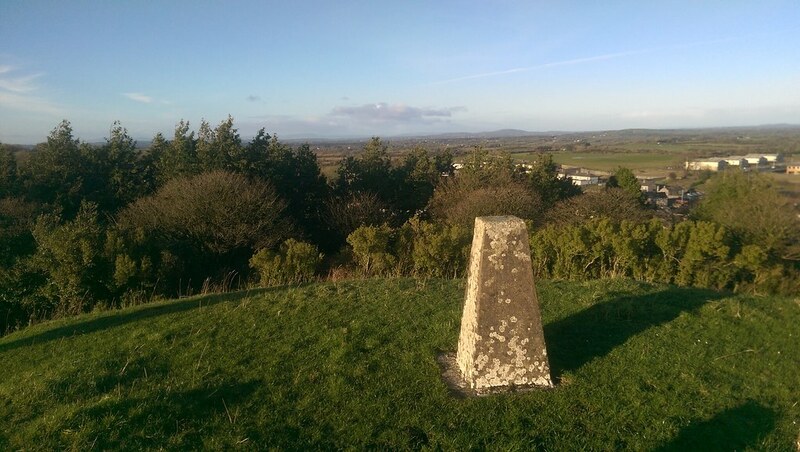 Whatever happened Benbaun’s Trig Pillar, which lies broken to roughly half its original size? Natural causes, bad building work, or did someone actually bring a sledgehammer up there? 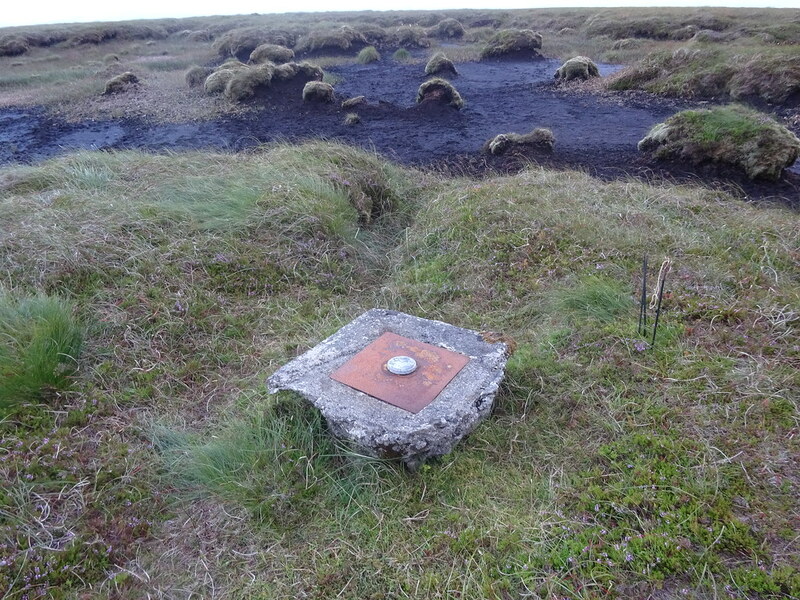 In truth, more a Trig Point than an actual pillar, this unique summit marker is but inches high and its relative anonymity has caused many the walker to miss it altogether. 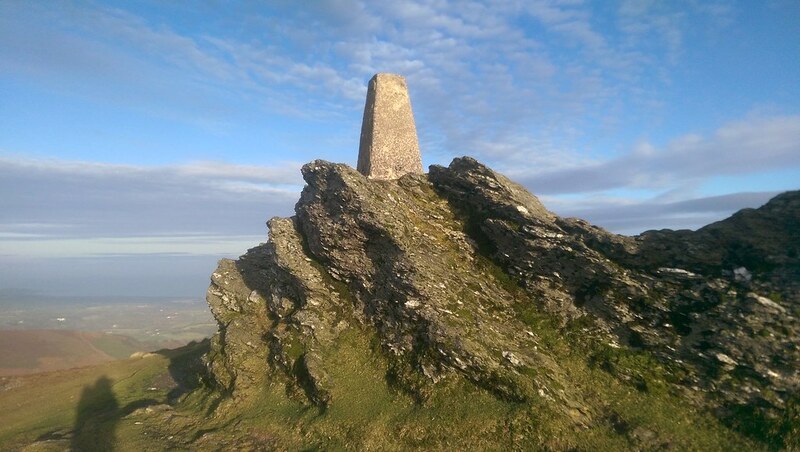 We’re well used to Trig Pillars marking the summits of mountains and hills. 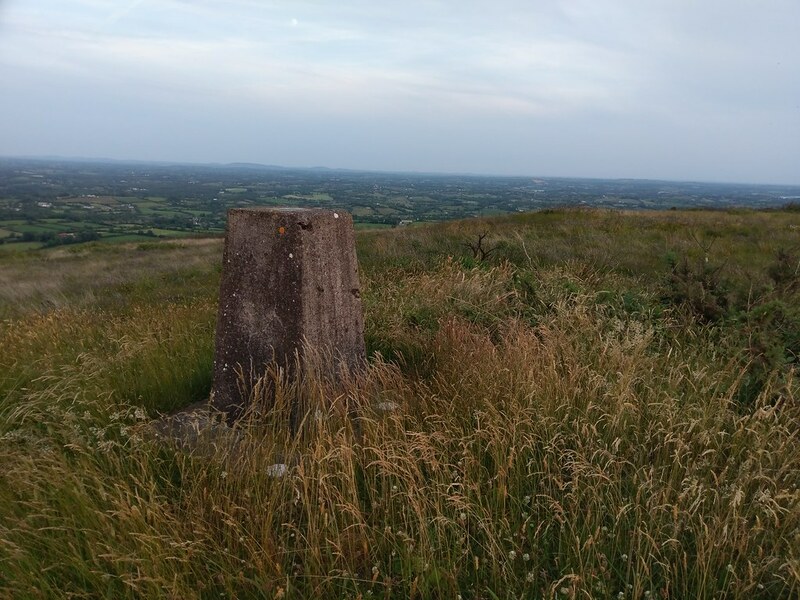 Not so the mysterious Trig at Doon, on the lower slopes of Slieve Rushen on the Fermanagh/Cavan border, barely midway up the mountain, and quite a distance from its summit peak. Perhaps its strange location is to do with the Irish border straddling the same slopes? The mountain is best known for the substantial windfarm that dominates its higher areas. Slieve Donard (850m) Co. Down. 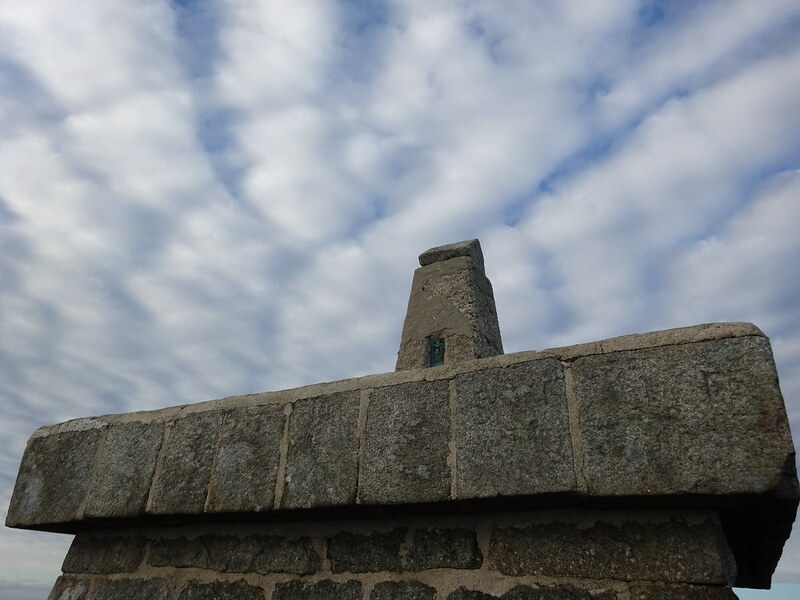 The highest Trig Pillar in Ulster sits atop a corner of the Mourne Wall, with fantastic 360 degree views over the Irish Sea, Dundrum Bay and the Mournes. For some reason, this tiny statue of Buddha has quite recently appeared on the peak of Galtymore. It certainly adds personality to the summit. 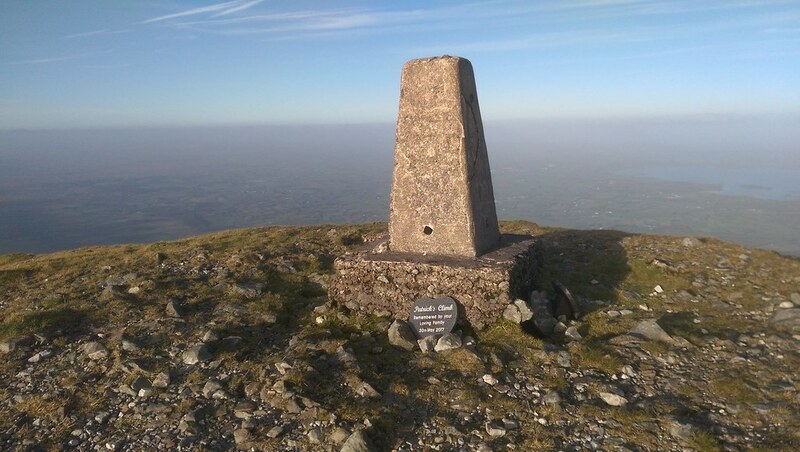 The flat summit of Slieve Muck affords wonderful views of the surrounding mountains, countryside and sea. A place to linger and savour. Few Trig Pillars are as dramatic as that on Djouce’s summit. The concrete pillar perfectly complements its rugged natural stone base. The Motte and Bailey on which this Trig Pillar stands was built by the Normans and dates from around 1199. It is situated on the edge of Granard, just south of the town’s main street. Only a few miles from my home, I’m naturally fond of Bruse’s summit. Although a low peak, it is rich in occasionally overgrown vegetation. 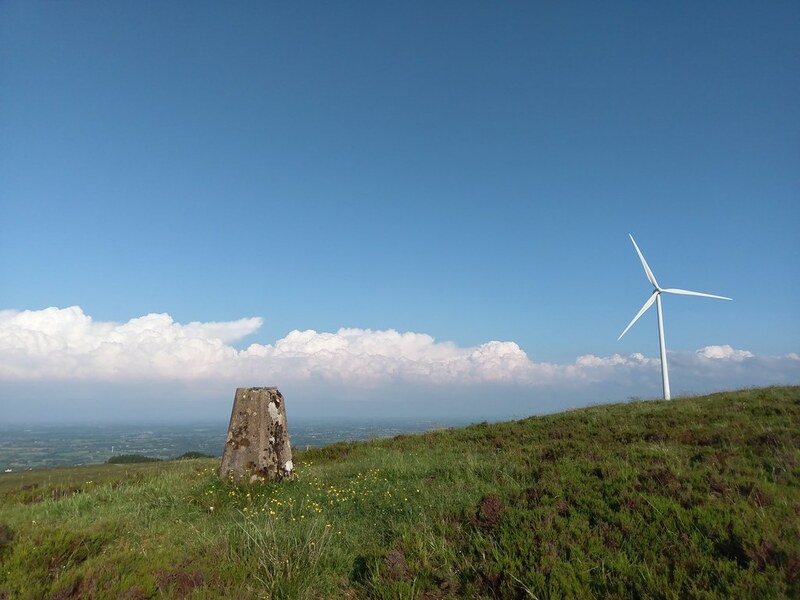 Great views all around of the Cavan, Leitrim and Longford countryside. 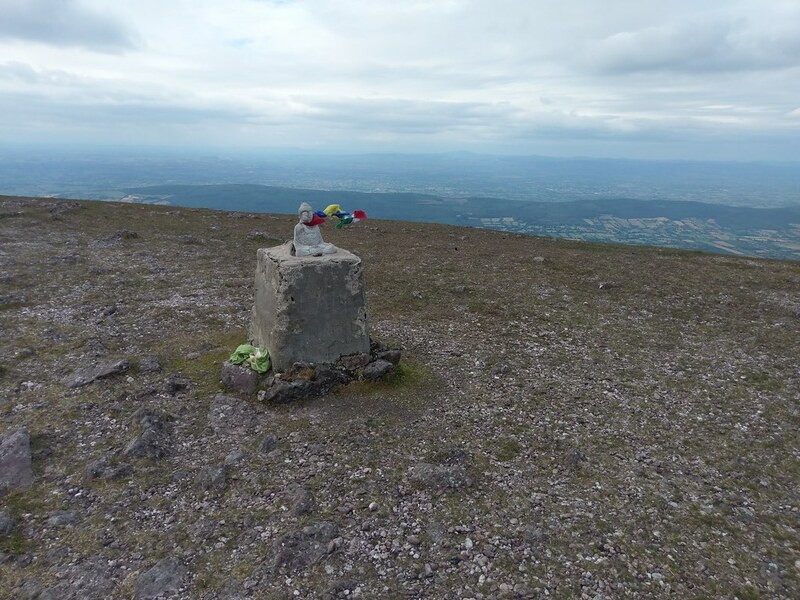 Nice collection Tommy, Nice to see the views we should have seen on Nephin. 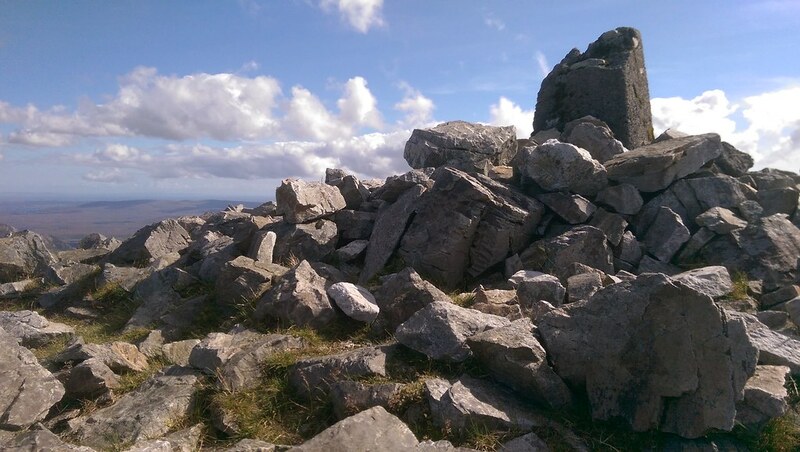 Buddha gone from Galtymore again, same thing happened last year.